Everlasting bearer bonds in biodynamic agricultural land; a small profit for you, and a huge benefit to the earth. As a start, Stichting Grondbeheer has issued 4999 everlasting bearer bonds, each with a value of 500 Euro. By acquiring an everlasting bearer bond, you can put your savings to work for a greener and cleaner world. Bonds are transferable and the starting interest is 1.5%. Interested in an everlasting bearer bond? 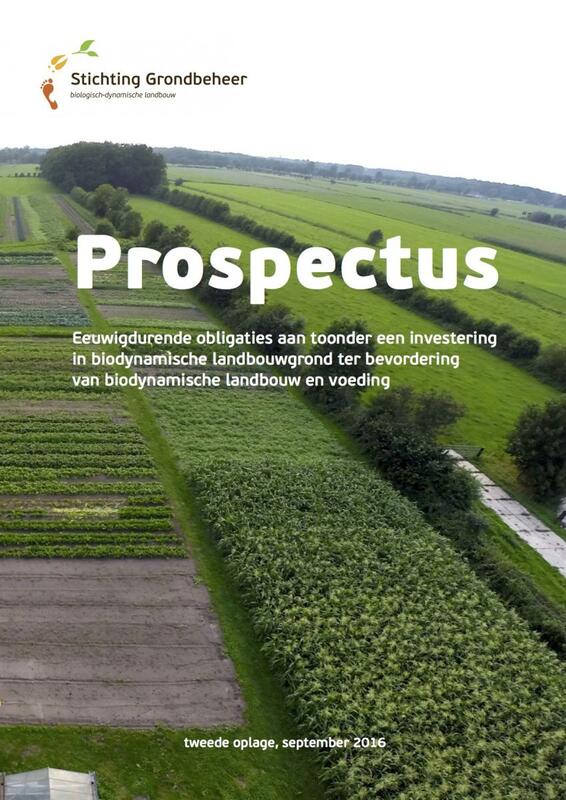 Download the prospectus here (available only in Dutch), or read the interview with Chairperson Kees van Biert on this flyer (English). Would you as a club, company or organisation like to know more about the everlasting bearer bonds? Then please invite us to give an investors’ presentation by emailing us at info@bdgrondbeheer.nl.